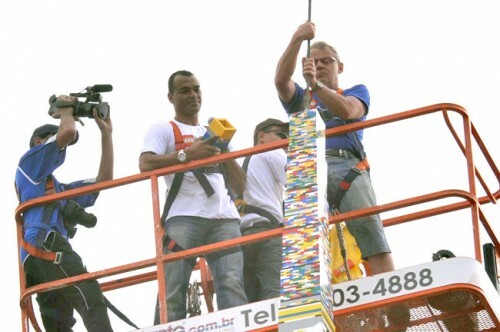 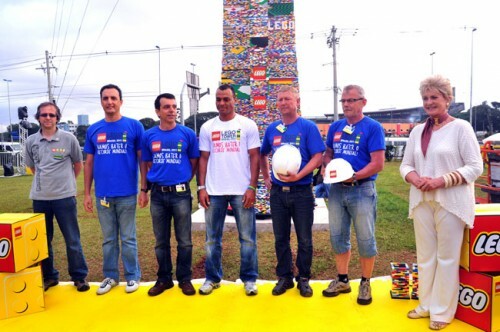 Nearly 6,000 Lego lovers in Sao Paulo, mostly children, claimed a new world record on Saturday. 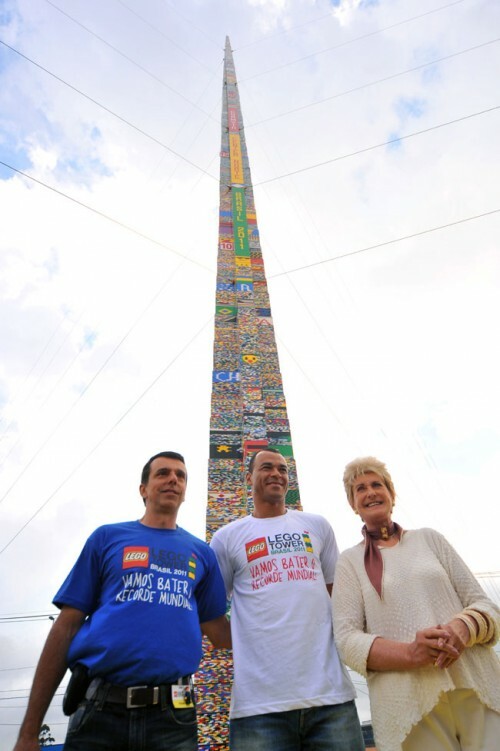 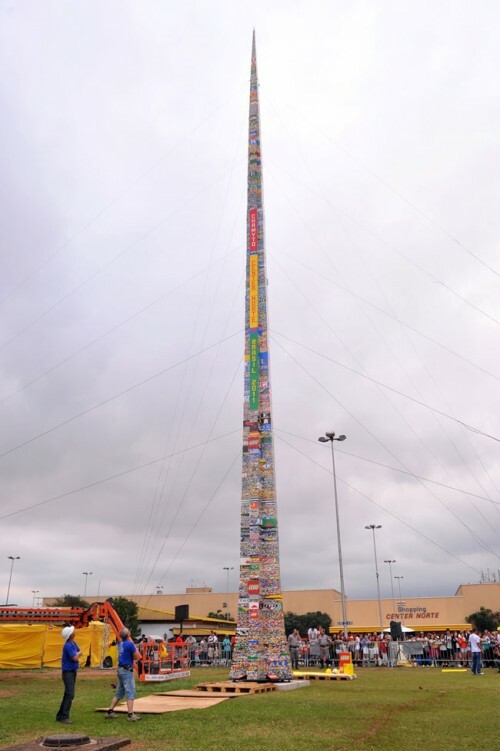 The tower was composed of 500,000 Lego pieces and reached 102 feet and 3 inches, breaking the previous record set in Chile last year with 101 feet, 8 inches. 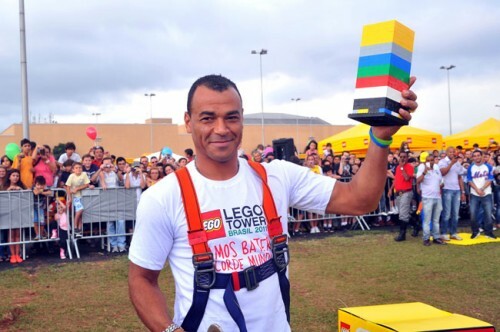 Brazilian footballer Cafu placed the last block on the tower, which was built in the parking lot of a shopping centre. 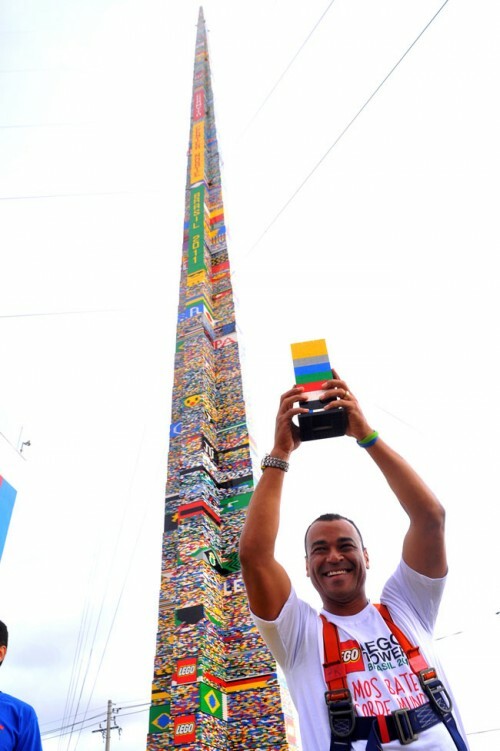 Lego sent designers from Denmark for the world record attempt. 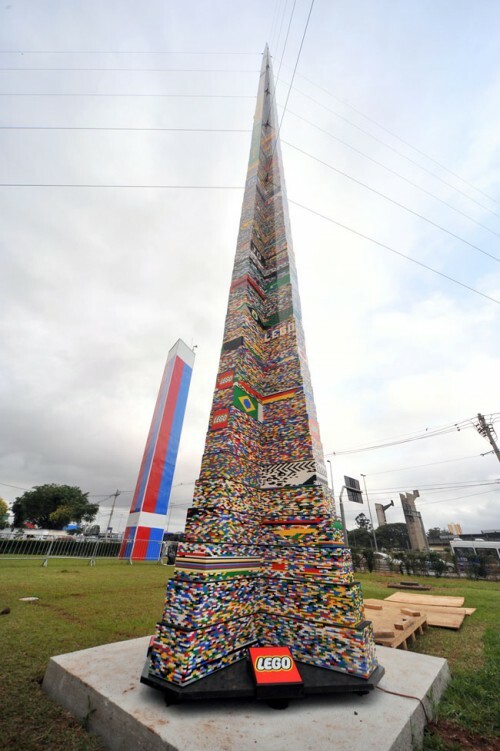 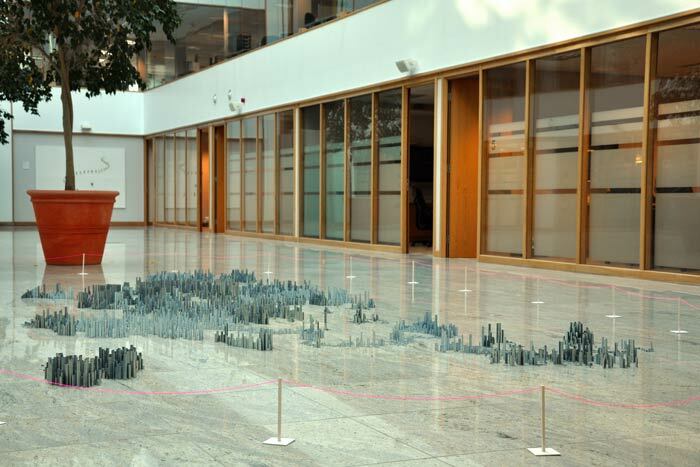 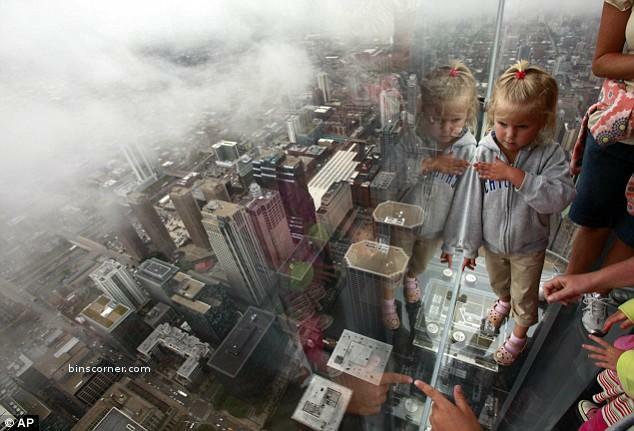 Some 53 cities around the world have already participated in the tower-building contest, launched by the Danish manufacturers to promote recreation and sport among children.